Our list of the books that every Pan-African should read can be heavy. When topics like eugenics and miseducation get to be too much for bedtime reading, here are the other books by African authors that I turned to this year. This year was full of spectacular fiction, spine-tingling poetry and hard-hitting non-fiction from Africa. Here is some of the best according to All Africa. There are certain books which sit on your skin, weigh on your psyche, and meddle with your mind in a haunting and arresting way. Freshwater is one of them. The story centres on Ada, a young woman carrying within her an ogbanje, a spirit with multiple heads. Unlike other spirit children, Ada does not die young and so we witness the coming alive of these forces within her, triggered by her move to America, sexual assault, marriage and more. The multitude of identities and voices take over, sometimes collectively, other times as individuals, creating a nervous energy as we wait to see what next. Possessed or grappling with mental illness? The work of the supernatural or simply the mind? Multiple spirits or multiple identities? This is the type of book that you’ll find yourself thinking about long after that last page has been turned, the kind that will creep into your mind months later as you walk down the street. 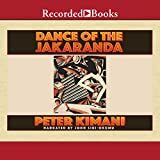 Considered the first novel from Madagascar to be translated into English, Beyond the Rice Fields forms part of the rich collection of literature from countries that have not been commonly seen in the global literary space. While this is one of the books by African authors, it was translated by a team of writers. In the tradition of writers like Chinua Achebe and Buchi Emecheta, the novel tells the story of how, through the arrival of outside forces determined to have their way, things fall apart. At the centre is the love story of the young slave Tsito and his master’s daughter Fara. This unfolds against the backdrop of the arrival of foreign missionaries and industrialists to Madagascar. This is not therefore just a sweeping tale of romance. In every element of tenderness and sentimentality are threaded in continuous reminders of the horrors brought upon the island by external and internal forces as it sits on the brink of catastrophe. This is a challenging yet necessary read. Prior to reading this book, I reflected upon its title. It left me feeling stifled yet incredibly curious. On reading it, I found that there is really only one word to describe it: exquisite. Set in a refugee camp in East Africa, it follows the story of Saba, a young girl who grows into a woman in this space, this temporary home, this permanent residence. She has spent years protecting her mute older brother Hagos. Their bond is perhaps the only tangible, permanent aspect of both their lives, which have been spent living between two worlds. As a chain of dramatic events unfold, the reader is drawn further and further into the lives of these characters. No matter how tired one as one reads this, one-more-page syndrome begins to hit. Both intimate and epic, Sulaiman Addonia’s extraordinary, subversive and sensual second novel dissects society’s ability to wage war on its own women and explores the stories we must tell to survive in a broken, inhospitable environment. The prose is poetic. Some sentences read like a punch in the stomach – “It was a skill Saba had failed to inherit. The invisibility that a woman ought to inhabit” – while others are softer, more gentle. It is a timely read. One of the few books by African authors that is actually an anthology! Literary legend Leila Aboulela is back with another masterpiece, this time bringing us a selection of thirteen short stories. The loss of a homeland, the search for belonging, and the carrying of conflicting hybrid identities has been a theme in many of Aboulela’s books. These themes continue to be present in Elsewhere Home alongside the less spoken about but equally complex aspects of being an immigrant or coming from an immigrant family. 13 short stories from award-winning New York Times Notable author Leila Aboulela. Stories feature a rich tableau of life as an immigrant abroad, and the challenges of navigating assimilation and difference. Elsewhere, Home draws us ineluctably into the lives of her characters as they forge new identities and reshape old ones. This is another great offering in the genre of historical fiction. It is 1901, a time when “God and the white man were one”. Colonial administrator Ian Edward McDonald, Indian railway worker Babu Salim, and preacher Richard Turnbull are all thrown together by the construction of Kenya’s railway, also known as the “Lunatic Express”. As the plot progresses and the railway is complete, however, the stories of these individuals is not quite over. Transporting the reader through history, the book leaps to the 1960s with the taste of independence in the air. Our protagonist is now Rajan Salim, grandson of Babu. As the doors of the Jakaranda Hotel remain open, everywhere you turn there is a reminder that although the colonialists may be gone and the war may be over, the battle has just begun. 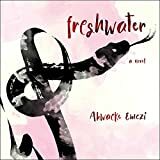 There is a richness to this story set in pre-colonial Ghana, much of which comes from the portrayal of the two young women who form the centre of the plot: Aminah, a slave; and Wurche, the daughter of a powerful chief. 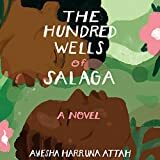 Set in the town of Salaga, the lives of these two women collide as British and German forces arrive, threatening the slave trade. There is a richness to the story, the characters are well-crafted, the plot gripping. More important still is the telling of a history which is not universally known, the exploration of the cultural norms during that time, the reminder that then, just as now, the rebellious nature of a woman is a force to be reckoned with. History, all too often really is “his story”: the past of a country centred on men, the role of women erased, forgotten, buried under a rubble of insignificance. This book attempts to correct that. It has been over a year since the fall of the House of Mugabe, a monumental event in the history of Zimbabwe. Amid all the headlines and analysis about the “coup that was not a coup”, it is important to remember that there was a Zimbabwe before Mugabe and there is one after him. There is the story of Zimbabwe which goes beyond men, political figures and the colonialists. In These Bones Will Rise Again, Chigumadzi skilfully brings together the stories of Zimbabwe’s anti-colonial heroine Mbuya Nehanda, her own grandmother Mbuya Chigumadzi, and the collective power of a nation in its multiple fights for liberation. With this book, the author claims the right that many women have been denied since the beginning of time: the right to tell her story. Nanjaya Nyabola has always been a force to be reckoned with, confirmed once again by the brilliance of this book that explores the impact of technology and internet on life and politics in Kenya. There is little doubt that, in many parts of the world, social media has had a huge influence on politics, activism and the way in which we communicate with each other. These digital platforms have opened up a space for marginalised voices, new narratives, and the demand for accountability. This is certainly the case of Kenya. Do these spaces exist in a vacuum? Are they a utopia wholly divorced from offline realities? Does technological freedom equate to more democracy? Nyabola delves deeper into this. The power of Kenyans on Twitter suggests that yes, social media can be a force for good. But juxtaposed against the rise of “fake news”, the role of companies like Cambridge Analytica, and the harassment of women online, it is clear that these issues demand a far more nuanced look than the over-simplified perspective offered by the West. For anyone interested in Kenya, technology and the power of social media, Digital Democracy, Analogue Politics is compulsory reading. An added bonus comes in the way of Nyabola’s style of writing; effortless, provocative and unapologetic. Considered one of the world’s most notorious terrorist movements, al-Shabaab has been behind some of the most horrifying terrorist attacks in Somalia and beyond. In areas it controls, the group rules with an iron fist. Voice of America journalists Harun Maruf and Dan Joseph investigate the myriad of factors which have contributed to the creation, growth and resurgence of the organisation. Western powers, the African Union, the Somali government and local actors combined with corruption and infighting all play their part. Also not to be under-estimated is the role of al-Qaeda, which, according to the book, encouraged al-Shabaab to “be more flexible”. Featuring interviews with government officials, former al-Shabaab members, soldiers and numerous other sources, the authors leave no stone unturned in their quest to tell the story of just how al-Shabaab continues to operate and why it continues to attract young people. This is hugely informative painstakingly-researched book.